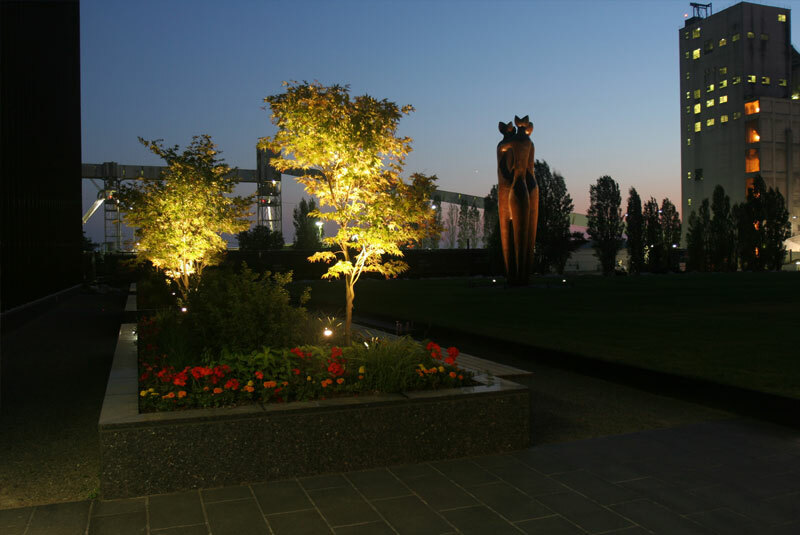 Two efficient office buildings flank a one-acre plaza and sculpture garden overlooking Myrtle Edwards Park and Elliott Bay. 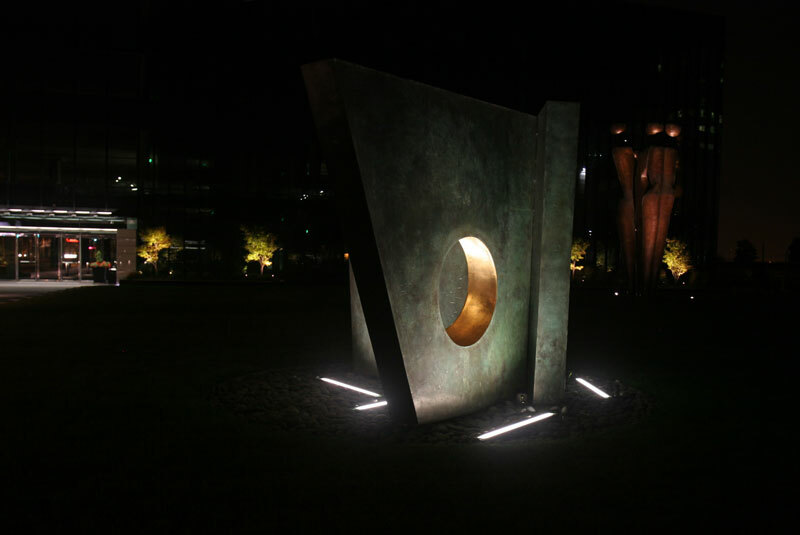 Unobtrusive lighting techniques were paramount in maintaining the sleek minimalist atmosphere of this office plaza and sculpture park setting. 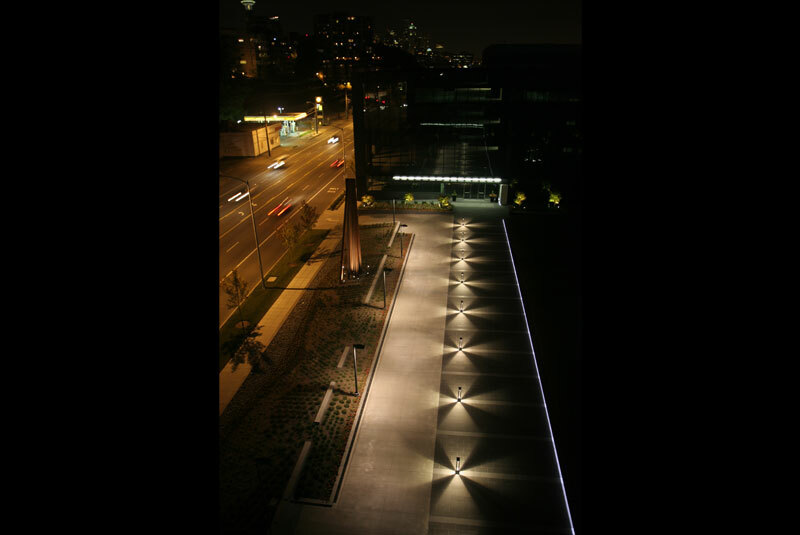 Indirect ceramic metal halide bollards create pattern upon the drive and pathway. 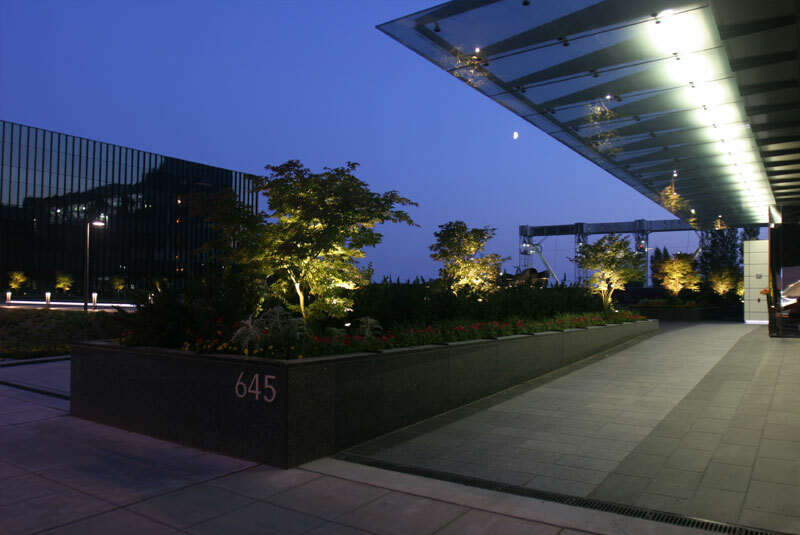 A concealed LED strip located within the interior lobby wall extends into the outdoor environment along the exterior wall. 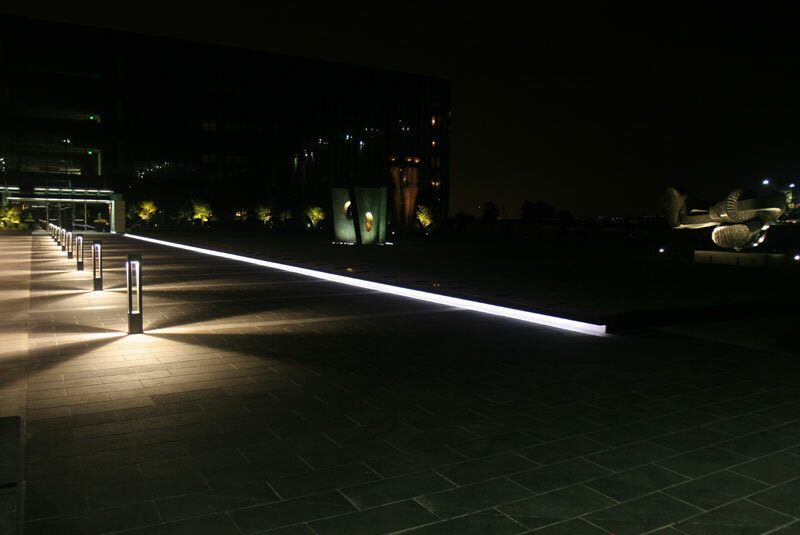 The LED strip creates a defined line of light which links the two office buildings together across the expanse of the sculpture garden and site. This detail adds visual interest and further defines the pathway. 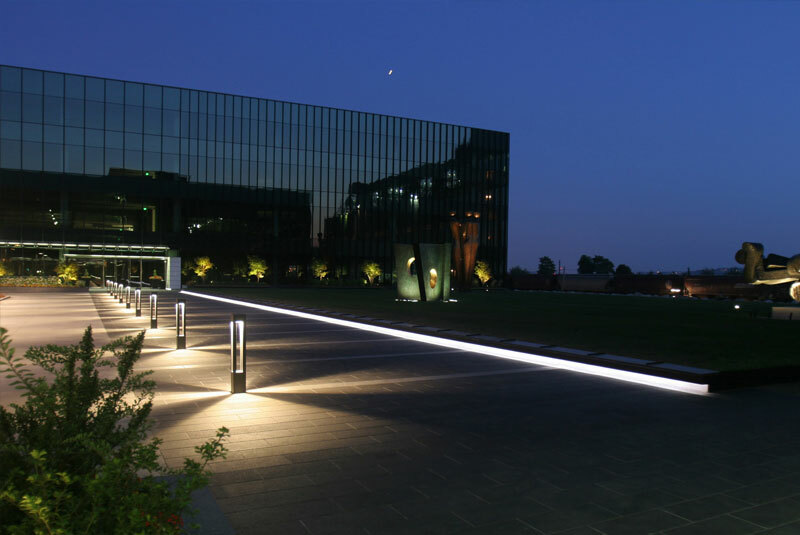 Linear fluorescent lighting concealed behind glass panels define the entrances of each building and create a soft glow upon the pedestrian path below. 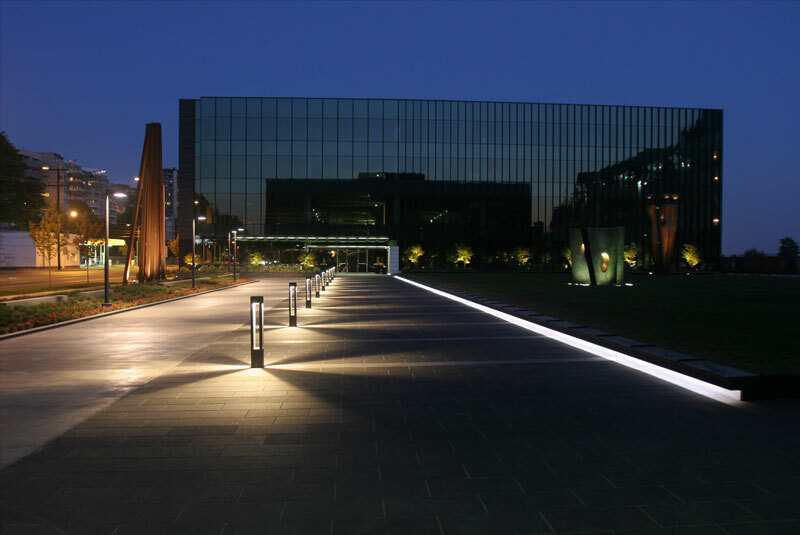 The project received the U.S. Green Building Council's Leadership in Energy and Environmental Design (LEED) Gold Rating.